Stand alone building with private parking lot. Ocean & Marine inside decoration. 2 Table d'Hote menus plus the possibility to make custom menus. 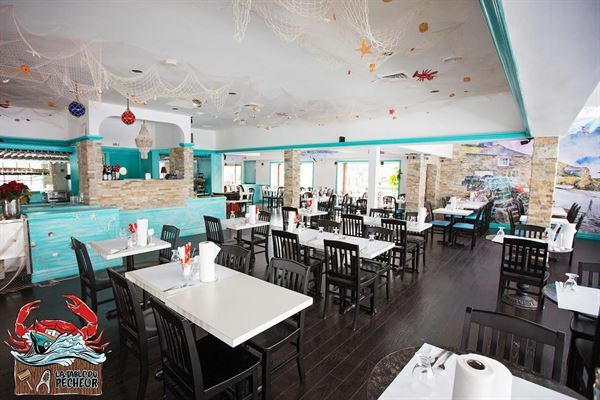 The main specialty is seafood, however steaks and chicken plates are also offered. Equipped dj stage and small 'piste'. Very comfortable inside space, not congested. Fully equipped kitchen. Prices are reasonable, flexible and negotiable on a case by case basis.